Keystone Gazebos are made with venal and maintain a similar look and feel as our custom gazebos. 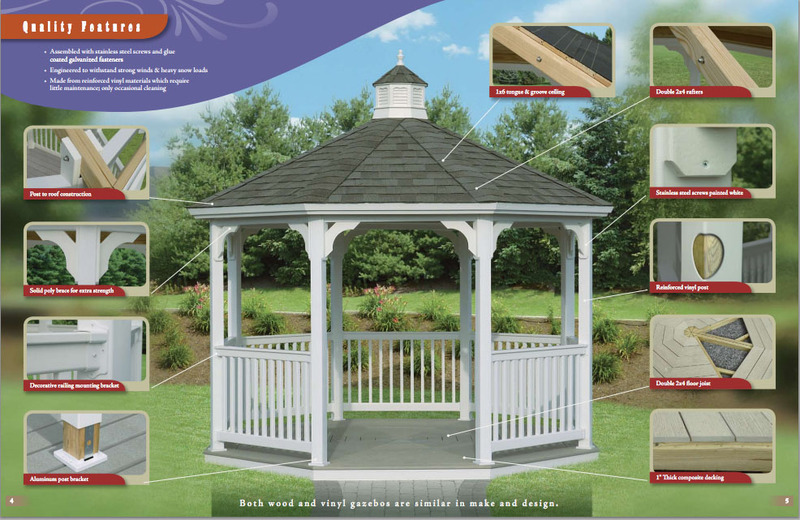 These economy gazebos are made with the same care as our custom gazebos with a few less features. 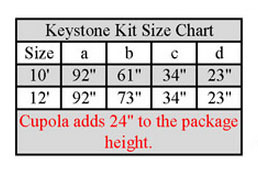 If you are looking for a quality built gazebo at a low price, our Keystone Gazebo is perfect for you. 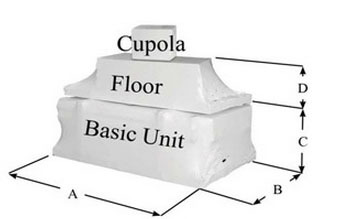 Vinyl Keystone Gazebo, Floor, Cupola, Asphalt Shingles. 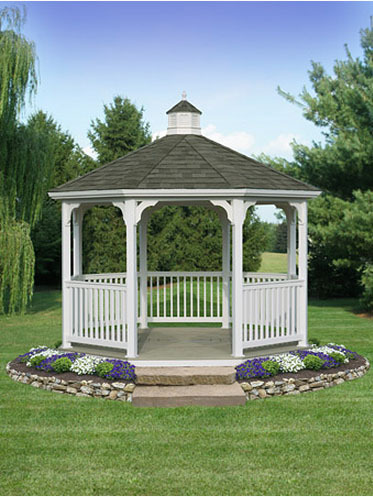 Keystone Gazebos are only available in 10' and 12' Octagon. These amazing gazebos are available in kits and are ready to ship to you within 4 business days. Solid poly brace for extra strength. 1x6 tongue & groove ceiling. Stainless steel screws painted white. Grey Floor: Vinyl Standard with Composite decking. Spindles Above the Door: Continues a uniform look. 6 " or higher posts are recommended. 6 " Higher Posts: Creates a higher roof line. Stationary Skids: 4 " x 4 " wooden runners under gazebo. Fastened permanently. Extra Screen Door: Add multiple entrance points.